A recent survey by Realtor.com targeted people currently looking to buy a home and asked them about their thoughts on an impending recession. The survey revealed that 42 percent thought a recession would occur this year or next. Some pushed that date back to 2021. Survey respondents (59 percent) also stated that if there were another recession, they felt the housing market would fare the same as in 2008 — the worst recession in decades that saw a full-blown housing market crash. This wasn’t the first survey to address this question of an impending recession, either. A few more surveys asked the same thing, with 70 percent of their respondents believing a recession is coming soon. However, recent data from CoreLogic (a provider of consumer, financial, and property data and analytics) pointed out that a potential recession is no reason to panic and completely throw off plans in the housing market is instead “cooling” — and nowhere near a crash. The data cites the past few recessions and connects them with home values. The 2008 recession was actually assisted by declining home values, which was largely due to mortgage lenders (among other things) issuing loans to people that a) couldn’t reasonably be repaid and b) eventually caused their properties to go underwater, meaning that the owners owed more on their loans than their homes were worth. The previous four recessions, with the exception of one, actually saw an increase in home values ranging from 3 percent to 6 percent. And in 1991 (the exception), home values declined minimally — a figure that is often on par with an average decline. Even if 2019, 2020, or 2021 were to bring about a recession, CoreLogic argues that such a recession does not indicate a crash. Rather that it indicates a “cooling” of the housing market, and that there is no need to worry. But the surveys and research were all focused nationally — what about the North Central Ohio housing market? Inventory logically makes an impact on home values because it’s a matter of supply and demand. When the 2007–2008 recession occurred, there was a significant amount of homes for sale on the market. Right now, home inventories are lower nationwide. In North Central Ohio, inventory is stable. For 2016–2018 in fact, the number of properties sold has stood around the 3,200 mark. From 2012 to 2015, inventory ranged from 2,300 to 2,900. The difference isn’t so significant as to indicate an “overabundance,” however. In 2008, the national inventory average almost doubled. Mortgage rates have been higher for the past while. When this happens, you naturally see fewer people taking out loans to buy houses. Now that rates are starting to stabilize, more people will be taking out mortgages to buy the homes they want. While the impact here hasn’t been significant, it should start to move the needle upward. Learn more about how mortgage interest rates and the housing market work together here. This a broader topic that includes a few relevant factors. First, a lot of people tried to cram in their home purchase at the end of 2017 to be grandfathered into the mortgage interest deduction, leading to a spike in sales. At the end of 2018, there was no similar rush, which led to price decreases. Again, North Central Ohio home sales have maintained a consistent level around 3,200 over the past couple years despite price increases. When it comes time for you to purchase a home, don’t allow yourself to be concerned with expected trends or industry opinions. Trust the experts that have lived and breathed the North Central Ohio housing market since 1936. Work with Bolte Real Estate for your home purchase or sale. Contact us today for a free market analysis. Every client we serve becomes part of our family, and we can’t wait to welcome you into it. What is a Typical Down Payment on a House? 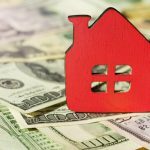 What Does Escrow Mean, and Why Is It Important? How Do Interest Rates and the Housing Market Work Together? Bolte Real Estate is the largest independent, family-owned brokerage in North Central Ohio. Serving home buyers and homeowners across our five-county service area and beyond, we have built a heritage of excellence in helping our clients achieve their real estate goals quickly and efficiently. Why spend time searching for North Central Ohio properties on other sites when you can have the newest property listings sent directly to your email automatically? It’s fast, easy, and free, and you’ll be receiving the latest homes for sale in your email. © Copyright 2019 Bolte Real Estate. All Rights Reserved. Subscribe now to get the latest updates, posts, and community news right in your inbox.